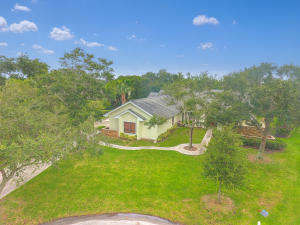 9930 Se Mahogany Way Tequesta, Fl 33469 has been sold. You can view available homes in Heritage Oaks. 4 BEDROOM 2.5 BATH POOL HOME ON 1/2 ACRE OFFERING TURTLE CREEK GOLF COURSE VIEWS. LARGE 3 CAR GARAGE. NEW POOL FINISH AND DECK. NEWER: BARREL TILEROOF, HARDWOOD AND CERAMIC FLOORS, PAINT AND LANDSCAPING. VAULTED CEILINGS, FENCED REAR YARD FOR YOUR DOGS. THIS VERY PRIVATE SETTING IS A 'MUST SEE'. 9930 Se Mahogany Way located in Tequesta, FL is a single family home with 4 bedrooms, 2 full baths and 1 half baths.The Home at 9930 Se Mahogany Way was built in 1988 in Heritage Oaks and offers a 3 car garage. This Heritage Oaks Home offers tennis, clubhouse, manager on site. 9930 Se Mahogany Way Tequesta, Fl is currently listed for $480,000 under the MLS# RX-10445431. This Home has been put on the Tequesta MLS system and currently has a status of SLD. Heritage Oaks in Tequesta is really a wonderful community in a great city. If you like the beautiful Tequesta location but you are not sure about this community. You might like one of the other local communities like Little Club or Carlyle or Tequesta Towers or Claridge Jupiter Island or Le Parc that are located here.